Our day trip to Bukidnon in the Philippines was one of adventure and fun. 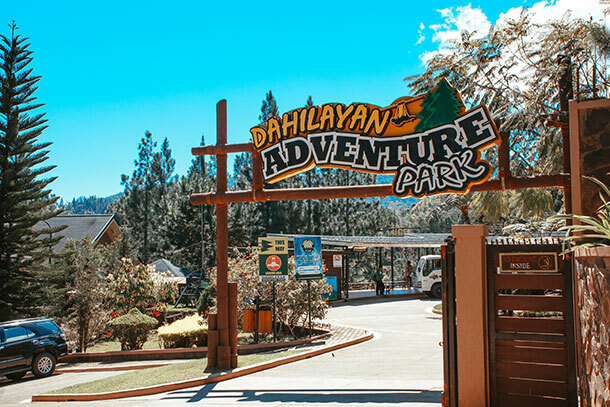 If you are visiting, don’t forget to check out the Dahilayan Adventure Park and the Dahilayan Forest Park. Bukidnon is not really a place that you’d consider to have fun and adventure when traveling to Mindanao. Most people will be focusing mainly on CDO for the whitewater rafting. 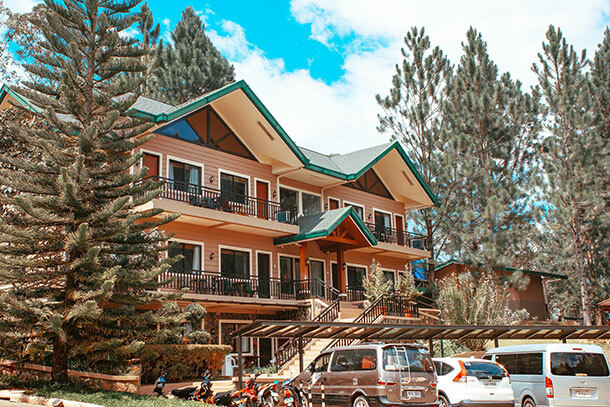 Located in the mountainous region in Mindanao, both parks afford you amazing views of Bukidnon. 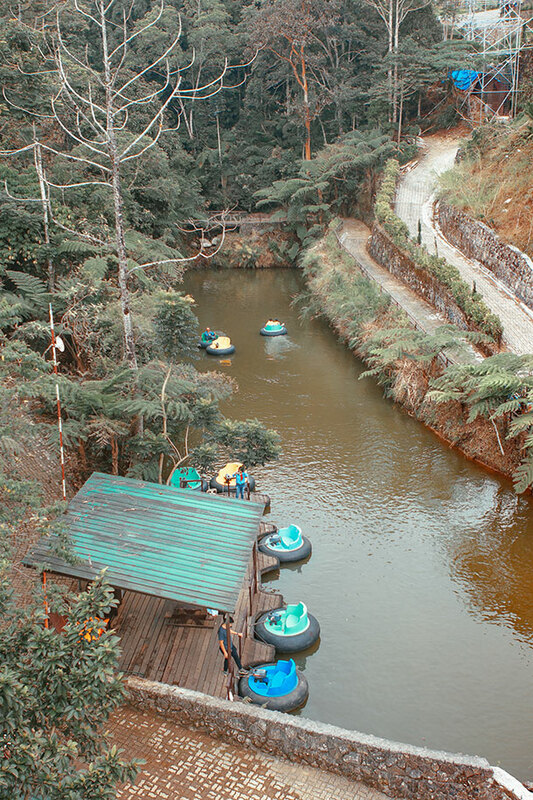 These two parks in Dahilayan are more than just your average recreation areas. It’s the perfect getaway for those who want some nice fresh air and some adrenaline-pumping activities. 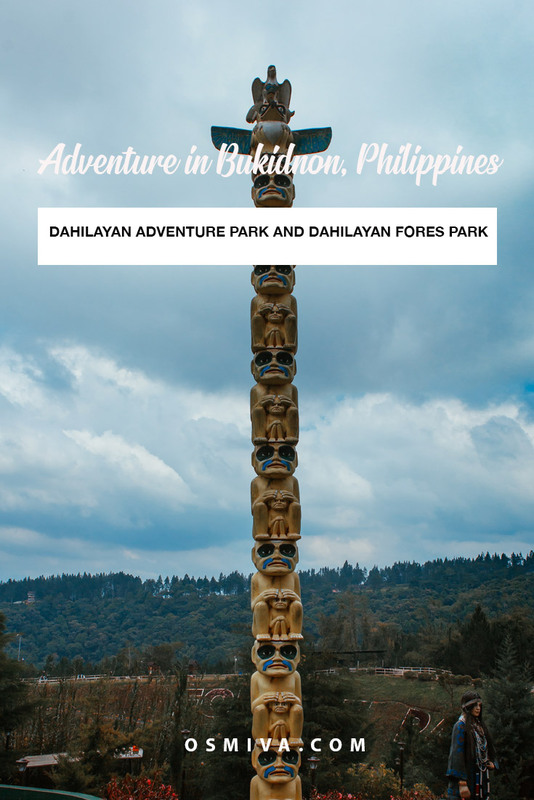 Dahilayan Adventure Park and the Dahilayan Forest Park are near each other. At first, it will give you the impression that they are the same. But they aren’t. The parks have different sets of rides that you can choose from. If you are short on time, you can choose to visit them on the same day. We visited the two (2) parks on the same day, and I’m pretty sure you can do too. Here’s how! Before we get into the details about the Dahilayan Adventure Park and the Dahilayan Forest Park, let us cover the basics of getting here. The two parks are located at Brgy Dahilayan, Manolo Fortrich in Bukidnon. If you are from Cebu or Manila, take the plane going to Cagayan de Oro. At the airport, take the bus or van going to CDO. First is to take the van from Limketkai Centre to Dahilayan. The fare is around 249 Php, one way and per head. Make sure to inquire at the Magnum Express counter for more information on their pick up time and drop off. The second option is to take the jeep or van from the Agora Bus Terminal to Camp Philips. Here, you can hire a habal-habal or motorcycle to take you to the parks. Travel time is about 1 hour and 30 minutes from Cagayan de Oro City. Dahilayan Adventure Park also provides shuttle services for its guests. They offer exclusive transportation from w/in downtown area of CDO to Dahilayan & back. The rate is at 3,000 Php per day/van with a maximum of 12pax. They also have a Zipzone Shuttle every Saturday at the Parasal Corrales St.. The current rate is at 350 Php per head. If you are already in Bukdinon, simply ride a habal-habal or motorcycle from Camp Philips. The fare is around 150 Php per head. If you are self-driving, head east on CM Recto highway and turn right on Cagayan de Oro- Bukidnon highway intersection. Don’t forget to turn right at the Alae junction and proceed to Camp Philips and thru the pineapple plantation. Follow signs along the road to Dahilayan Forest Park or the Dahilayan Adventure Park. 1. Bring light sweaters or wear long-sleeved shirts if you’re the type who gets cold easily. 2. Put sunblock when you start going on rides. The air can be cold but the sun can cause sunburns. 3. Stay hydrated so bring water with you. It’ll also be cheaper! 4. There is no corkage fee when we went so go ahead and bring food with you. There are tables and chairs available that you can use. 5. Wear comfortable shoes when visiting the parks. You’ll be hiking in some places (though not that far). Plus you’ll be comfortable waiting in line (especially when you visit on peak seasons). 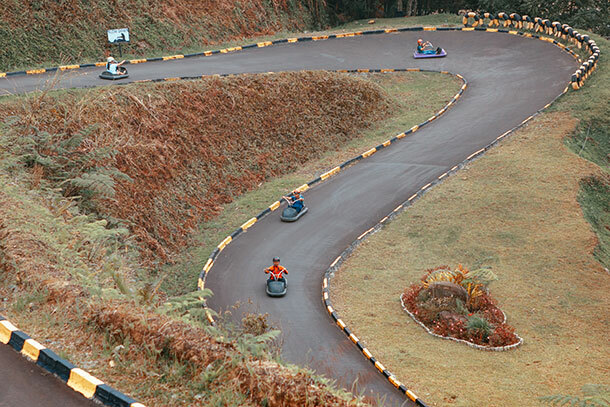 The Dahilayan Adventure Park is often dubbed as Mindanao’s Favourite Extreme Playground. Rightfully so as it is home to numerous fun and extreme rides. If you are into adrenaline-pumping activities, then this is the place for you. 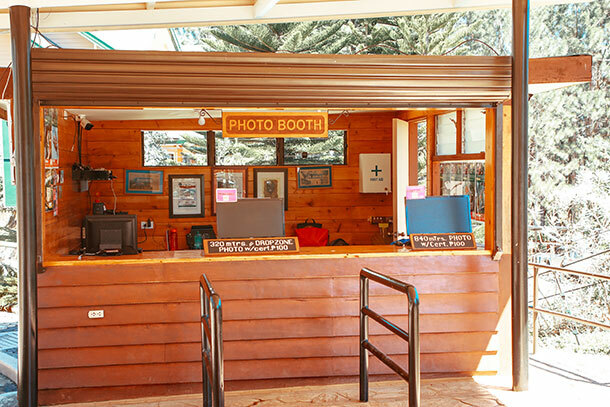 The park is open on Mondays to Sundays & Holidays from 8:00 AM – 4:00 PM. We were there on a Friday and there were a few guests when we arrived. 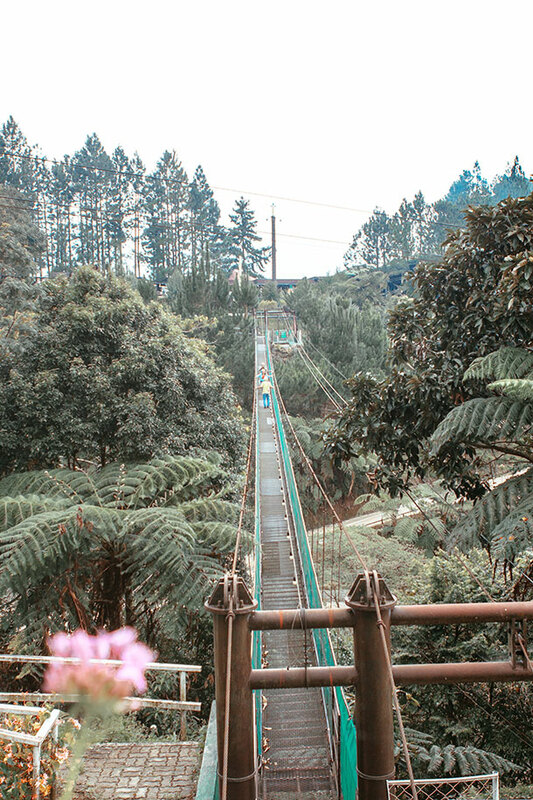 This adventure park in Bukidnon is home to Asia’s longest dual zipline. It also offers adrenaline-pumping activities like the Dropzone and the Skytower Base Jump. Although, if you ask one of our companions, who is a certified adrenaline junkie, the adrenaline rush during the Skytower Base Jump was super short. The free fall was just about 1 second and the rest is the guided descent. There are group packages that you can avail too. Examples are the Zipxtreme Package (where you get to try all zipline activities, Dropzone, Python Roller Zipline and Rope Courses) and the Zipchallenge Package (All Zip, Dropzone, and Python Roller Zipline). The Park also offers rooms for its guests who wants to stay the night. You can check out their website for more details. 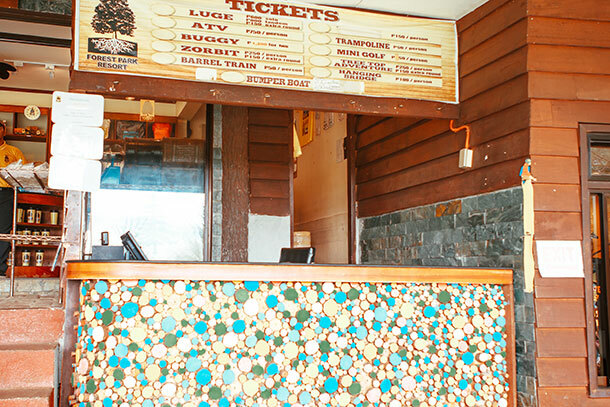 The Adventure Park has several amenities that one can enjoy for a day trip. 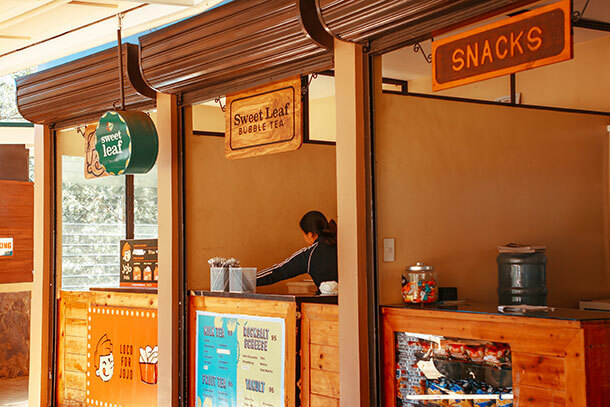 This includes a coffee shop, food stalls, a photo booth and, of course a souvenir shop. They also have free lockers (at the time of our visit) for guests who will be trying out the rides but need to safely leave their things. Though the number is limited so be sure to avail one the earliest. We arrived in Dahilayan at around 10 AM and by then there were no crowds yet. Though I can remember a large group arriving at around 1 PM. We initially checked out the rides and the view (that we can see) from the entrance. The area is just pure green and very relaxing. You can really enjoy hours just strolling around the park. It took us a while to decide on what to avail when we visited. All of us tried the longest zipline which is definitely a must! Some (me and a friend) tried the Python Zipline while one tried the Zipchallenge Package plus the Skytower Base Jump. 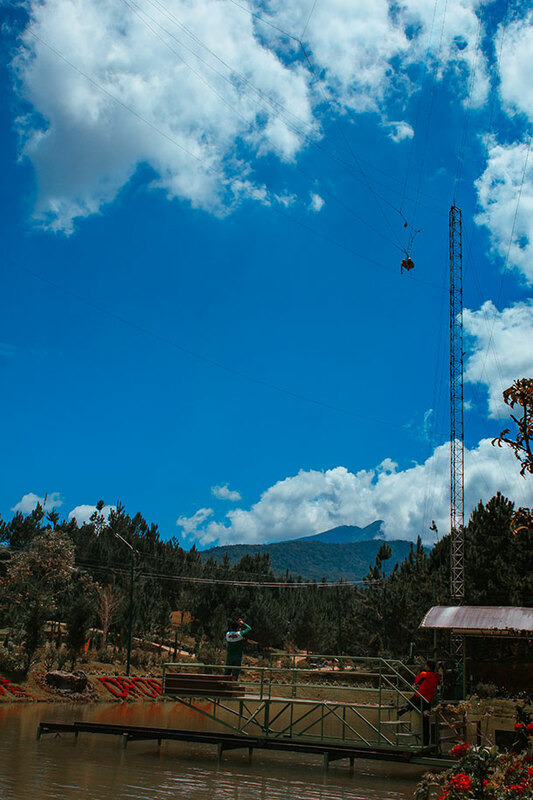 The first activity we tried was the longest zipline as you’ll need to ride a shuttle to go to the start point. We tried it in pairs and it was incredible! The longest zipline was fun and it gave you gorgeous views of lush greenery. We passed through tall trees and portion of the Dahilayan Forest Park. It was an exhilarating experience. Safety Tip: Remember to follow the personnel’s advice especially when landing. After the longest zipline, we watched our other companion tried the Skytower Base Jump. While he tried one of the ziplines, we proceeded to the area for the Python Zipline. The Python Zipline was another experience. It would take you on what seemed like a roller-coaster zip ride across trees. We did the duo activity and it was pretty funny as it would seem like you will crash or get hit by a tree. After the zipline, we waited a few minutes at the Dropzone area for the rest of our friends. The Dropzone activity is held at a man-made lake. Guests are then secured on a rope for a pendulum swing. They are released at about 120 ft at freefall. As per our companion, this is the best ride in the Dahilayan Adventure Park, especially for people who love this types of activities. After the excitement at the Dropzone, we then rested back near the entrance. It was around 12 NN by then and we would’ve proceeded to our next stop if we hadn’t decided to wait out the re-opening of the Photo Booth. All rides and stalls would close by 12 NN so that the staff can have their lunch break. For the meantime, we enjoyed an hour eating snack at the tables and chairs. Once we were done with the selection and request of printing, we were ready to head over to our next destination: the Dahilayan Forest Park! Just a 5-10 minute walk from the Adventure Park is the Dahilayan Forest Park. The park is open from 8AM to 6PM daily. 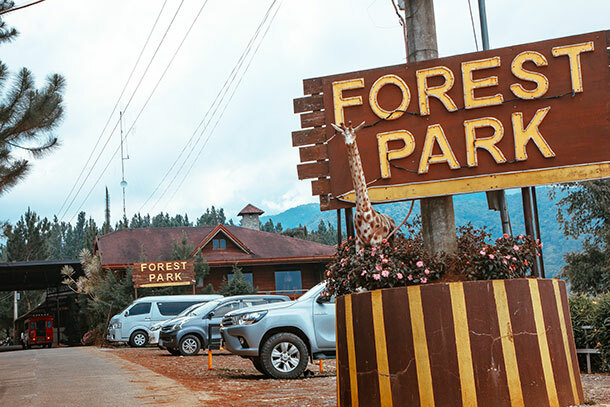 Forest Park is a resort that comes with various accommodations for its guests. You can check out their web page for more details. 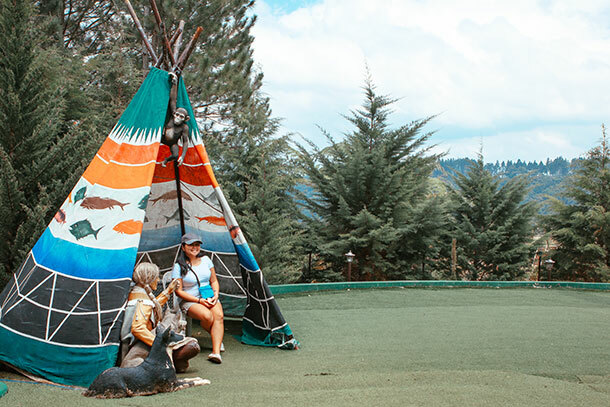 Aside from the rooms, they also have several attractions that make it a fun getaway for families and group of friends. 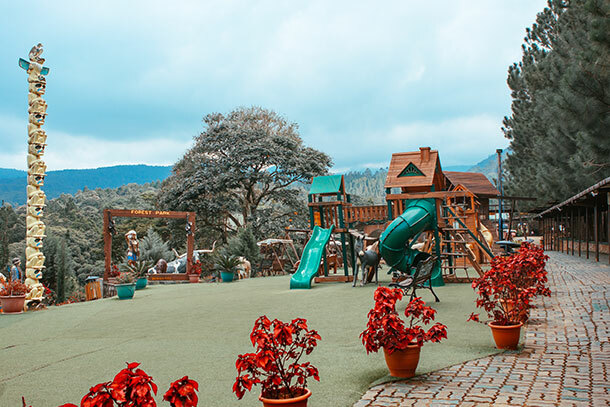 Dahilayan Forest Park has several outdoor activities that are great for everyone. And even if you don’t go on a ride, the scenic views are calming for the senses. The park is open on Mondays to Sundays from 8:00 AM – 5:00 PM. 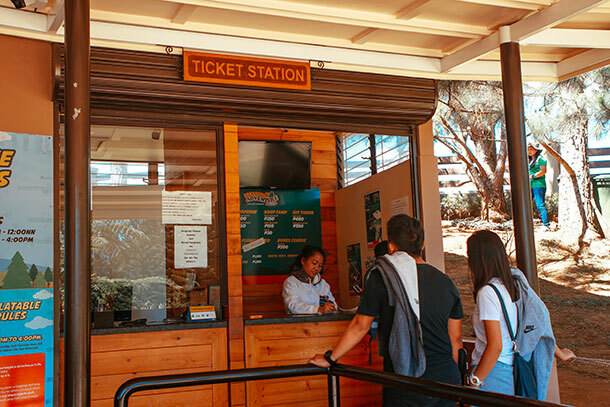 A fee of 100 Php is required to get inside the park. You will have to show your payment slip at the Guard. In return, they will put a stamp on your hand or your arm. Ride costs start at 150 Php, but they have packages that you can avail. Most of the rides are designed for kids, so it’ll be a day enjoyed with the entire family. 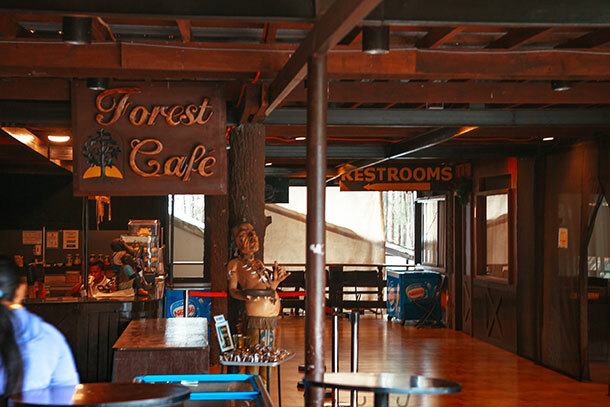 Like the Adventure Park, Forest Park also has several amenities that you can enjoy on a day trip. They have a souvenir shop and a cafe for those who want a bit of refreshment after a day enjoying the rides. We arrived at Dahilayan Forest Park at 1:30 PM. Our main goal was just to actually try the Forest Luge. But as it was still a bit early, we decided to enjoy the playground first. The one thing that you can appreciate about the playground is that they all have ‘fun stuff’. The house wheel which will make you act and feel like a hamster is fun, not to mention the spinning disk. After paying the fee for the Forest Luge, we immediately proceeded to the starting point of the activity. Before reaching the starting point, you will have to pass through the Hanging Bridge. At the entrance of the Hanging Bridge, we were given helmets and some hair net to cover our hair. The hanging bridge was pretty cool and gave you great views of the pond (where the bumper boat ride was located) and the rest of the area. We passed through the bridge and walked a few meters to the starting point. After taking photos, we finally took a pick of the several luges in the starting point. We were then given instructions on how to accelerate, slow down and stop the luge. Finally, we were ready to start riding it. The staff were very game and gave us plenty of opportunities for photos. At the beginning of the ride, I already noticed that there was a problem with the luge that I was riding on. I informed the staff about it, and after taking a quick look they said that everything was working fine. So I just braced myself and tried again. But it was pretty much annoying not to be able to control the speed or make it work correctly. There was a point when I stopped at a certain turn on the route. Thankfully we were the only group using the track at that time so I wasn’t causing a ‘traffic’ or anything. After a few minutes of frustrated driving, finally, I have arrived at the finish line. Whew! The fee allowed us two tries on the track, so it was good to know that we will go on another round. There was a shuttle waiting for us at the finish line to take guests back to the starting point. 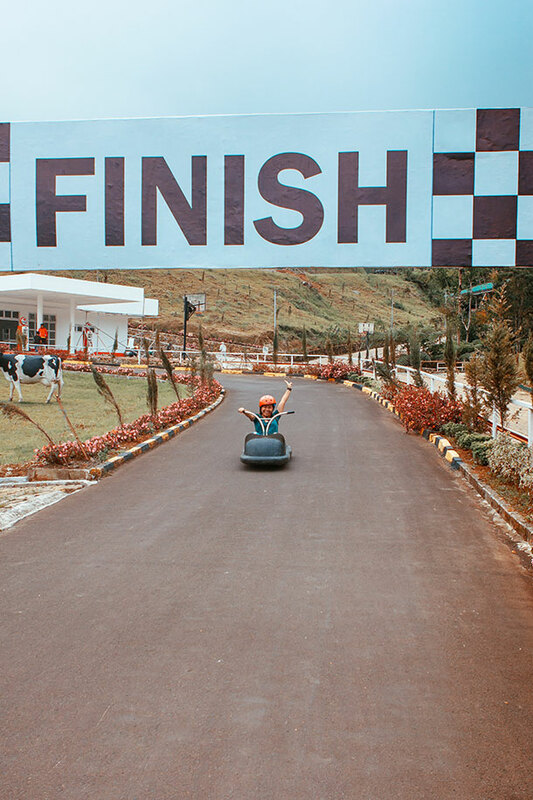 When it was our turn to race through the track, I carefully selected another luge that would function correctly. I actually tried to go on a few inches just to make sure it was working properly. LOL. So off we go again, and this time I was pretty much enjoying myself. After the luge, we went back to the playground and spent another hour or so enjoying the views. By then, we were no longer interested to try other rides. Part of us was hungry and part of us was already satisfied with the day thus far. At 3:45 PM, we were ready to leave and grab some late lunch at the Del Monte Clubhouse. Please note that the prices are based on the current ride prices. And, the activities were done in a day. But, you can always stay the entire day at either of the parks. To further enjoy the trip, I suggest that you review the rides beforehand and look for what would interest you. This would ensure that you can enjoy the day fully. So.. Do you think this is a trip worth going to? It certainly was for us! Looks like a great experience. The views from the zipline and suspension bridge would be amazing. Thanks for sharing your detailed account. Oh my gosh! 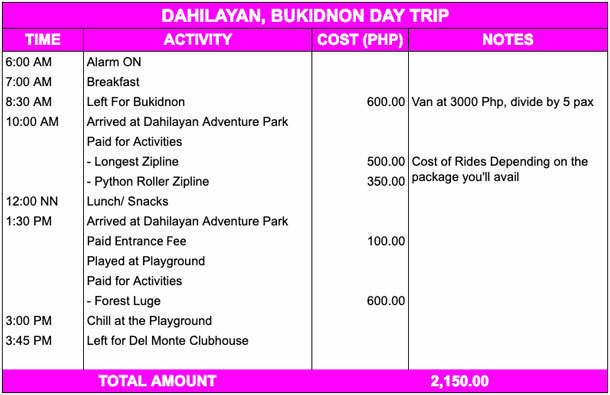 My boys would just love the Dahilayan Adventure Park and the Dahilayan Forest Park. 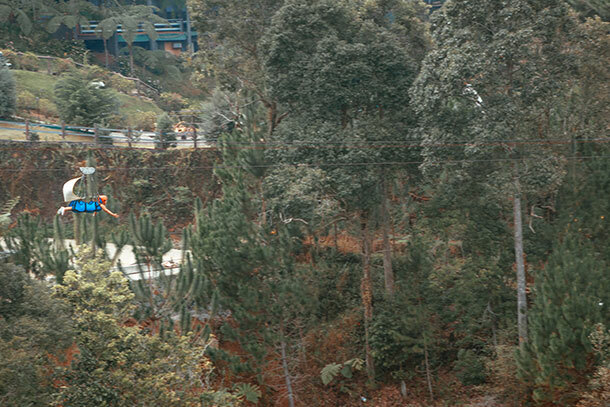 The ziplines look just amazing and just enough thrill for them. They’d also love the free fall. The luges also look amazing and I”m prettty sure that’s an activity that even my more timid daughter would enjoy. I haven’t been to a park like this in years. Straight to the go karts for me! I see some pine trees in the photos – what is the elevation and how cool does it get? Must be a refreshing place to visit. Wow I did saw a lot of photos in this area already but never known some of the stuffs! If I have a chance to visit Philippines again wish I have time to make it there and visit our family in Bukidnon and include this in our itinerary! It’s nice there as the weather is cooler compared to Cebu and a lot of activities to do during your visit! great article! Wow! Falling in love with Dahilayan through your photos and tips. The Philippines had never really been on my radar, but this is an excellent place to start. Dahilyan Adventure Park looks adventurous with all exciting activities. It is great that they have stay options in this area. Forest adventure interests me a lot. Wow, it looks like you had so much fun! We went zip-lining in Costa Rica, and that was pretty intense, but I’ve never done a zip-line laying down like that. I bet you felt like you were flying through the trees! We’ll certainly have to try that sometime. Thanks for sharing! Great article for those who are into theme and adventure parks and it is full of very useful tips. Unfortunately, adventure park lovers are not us … we prefer our adrenaline fix from naturally occurring adventures like climbing, white water rafting, skiing, etc. Zip lining and ropes courses are cool too, but we like them in a natural setting, like you might find in Costa Rica. To each his or her own for sure. 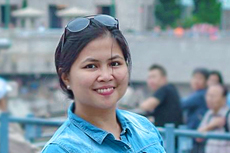 I love all the useful details and your idea to share directions to help travelers choosing the best route. I hope it won’t be long till I get to visit the Philippines, too. I never would’ve guessed that this area was in the Philippines! I think so many travelers only visit the beaches there, so thanks for sharing another side of a really beautiful country. It looks like there are so many fun activities here, especially the luges!